Salted, in a sauce or whipped up into a mousse – however it's served, caramel is guaranteed to bring a smile to your face. Here are six of our favourite recipes that make the most of this golden wonder. How do you make sugar even better? Throw it in a hot pan, give it a good swirl and wait until it turns a beautiful golden brown. Add some water to keep it liquid, a knob of butter or cream to create a rich sauce or let it cool and bash it up into shards for an easy way to decorate desserts. Whatever you do with it, the process of turning sugar into caramel is always going to have delicious results – provided you don’t let it burn. 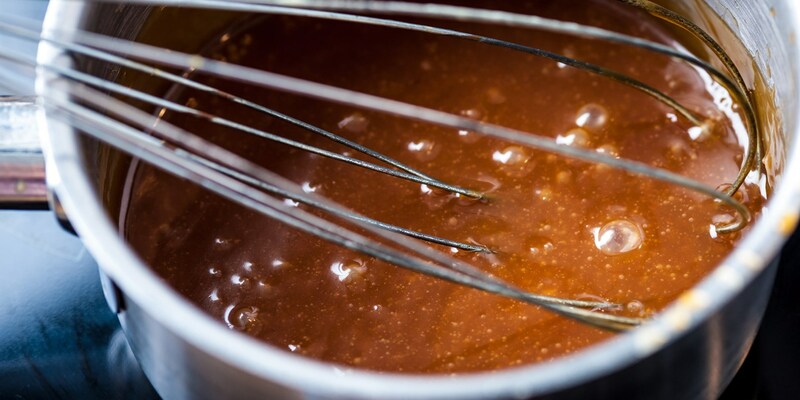 Caramel’s rich, sweet flavour makes it an obvious choice for cooks looking to create a dessert with a difference, and its versatility means it is suited to everything from cakes and tarts to mousses and sauces. Cook one of these six caramel-filled recipes for your next dinner party for a stunning end to the meal, and take a look at our full recipe collection here. What Paul A Young doesn’t know about chocolate isn’t worth knowing, and his tart makes the most of the rich, creamy Javanese variety. By whisking the chocolate into a homemade caramel sauce (made with plenty of cream and butter) until it melts, the filling remains wobbly and soft even after setting in the fridge. 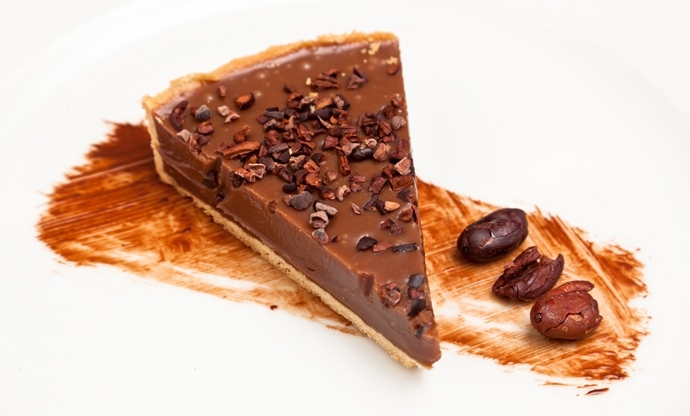 If you’re pressed for time then you can buy the sweet pastry-ready made, but don’t skip the cocoa nibs on top – they add a pleasing crunch to the soft caramel-infused chocolate below. Crème caramel might sound a little retro and you might have been put off them permanently after eating your way through the pallid, uninspiring versions sold ready-made in the supermarkets. This recipe from the Galvin brothers, however, is a world away from anything you can get in the shops. The caramel sauce is left to set directly in the ramekins, before the delicious vanilla-flavoured pudding is poured on top. The candied orange zest and raisins add a welcome zing to cut through the richness, resulting in a perfect example of a French classic. 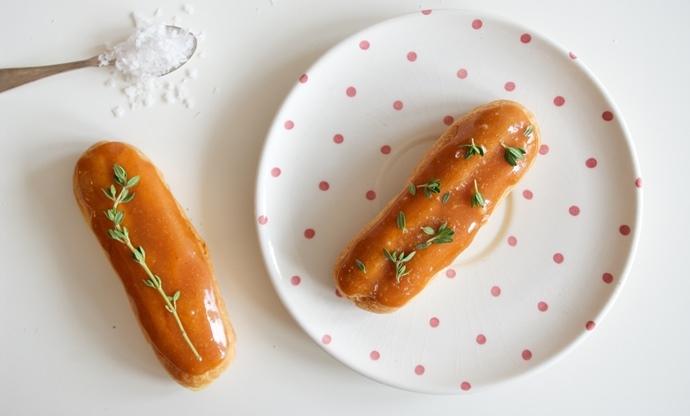 A real treat for anyone that loves caramel, these éclairs do away with the chocolate altogether and replace it with that most popular of flavours, salted caramel. As well as the glaze on top, the cream within the choux pastry is infused with caramel too. While the lemon thyme leaves on top might sound a little strange, it actually proves to be the perfect companion; the bright, fresh, herby flavour contrasts beautifully with the sweet richness of these little pastries. A panna cotta is a beautiful thing when prepared correctly, and filling one with caramel flavours is even better. 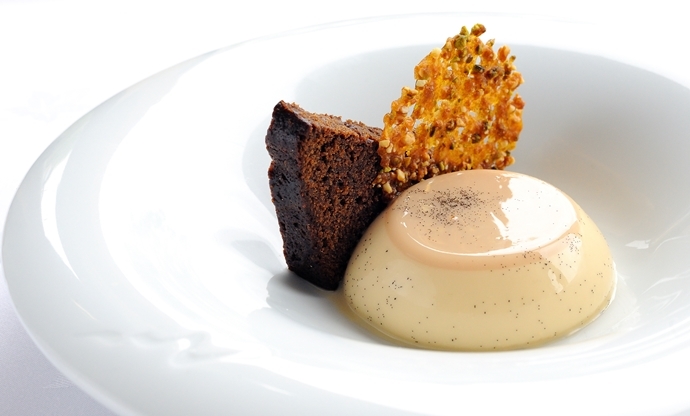 Josh Eggleton serves his with some of the stickiest, most delicious gingerbread and a crunchy tuile for texture. 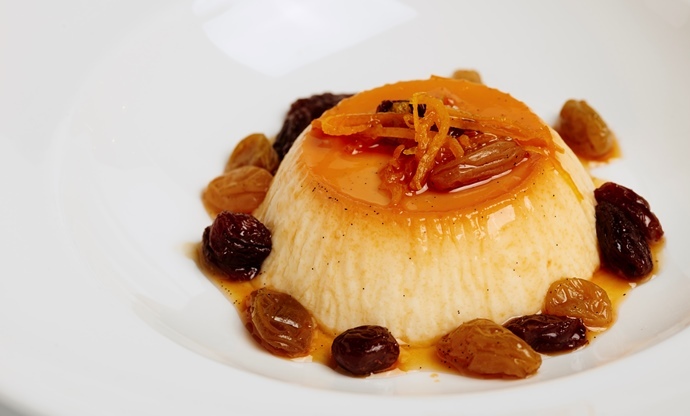 You can make this dessert well in advance – the panna cottas need four hours in the fridge to set anyway – then all you need to do is invert them from their moulds and plate up just before serving. 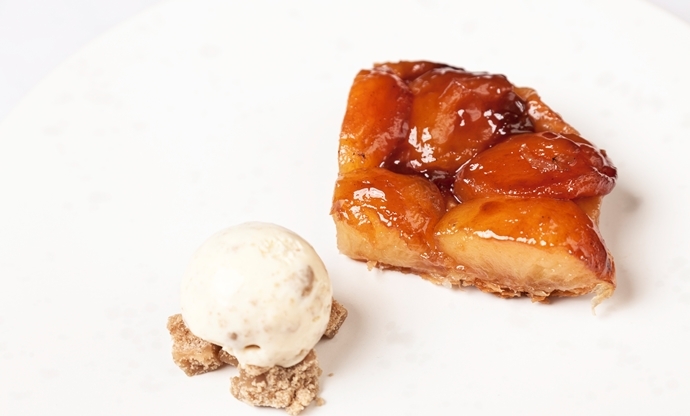 Perhaps the most iconic caramel dessert ever created, tarte Tatin is also one of the simplest ways to incorporate the flavours into your cooking. Butter and sugar are added directly to the pan and heated until golden brown, before slices of apple are layered on top and blanketed in puff pastry. After a blast in the oven, the tart comes out perfectly cooked, with soft apples and a beautiful golden crust. For all-out decadence, it’s hard to beat Adam Gray’s mousse cake. They’re also much easier to create than they look – once you’ve created the dulce de leche by boiling a can of condensed milk, you create a simple mousse with gelatine and leave to set. The base is just crushed digestive biscuits, while the chocolate jelly topping requires just four ingredients. 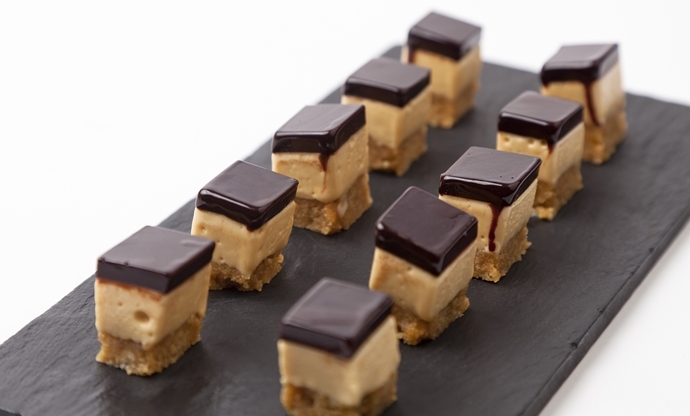 Cut them into little squares as suggested for an impressive petits fours, or leave them larger for a rich, indulgent dessert.